It’s been a great season so far for Damian Lillard. He made his second straight All-Star Game, the Blazers will return to the Playoffs, and he has taken on a bigger role as a top-tier endorser for adidas, which launched his first signature shoe earlier this year. To pay tribute to the awesomeness that is Damian Lillard, adidas added a new CW to his signature line — the D Lillard 1 NYC All-Star edition. This recently-released CW features a predominantly white textured upper composed of nubuck and leather, perforated black toe box panels, a mesh Techfit inner lining (a great touch for a more contoured fit), Lillard’s signatur branding logo on the left heel, a dope speckled midsole, adiprene+ cushioning tech, and a gray/black translucent outsole. I got my pair last week, and it “popped” right out of the box with its attention-grabbing clean look. 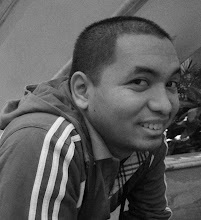 I have to admit, that simple white and black combo caught my fancy. 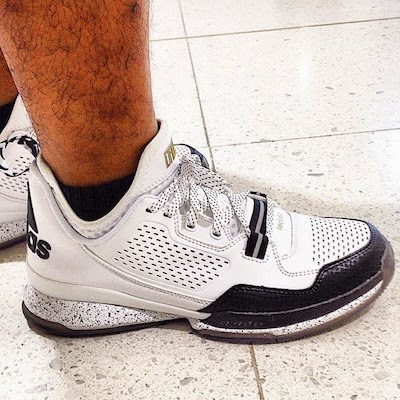 Maybe the best CW for the D Lillard 1 yet (adidas also dropped a Florist collection this past weekend! Check that out, too!). I’ve worn it about three or four times since I first unboxed it, and these are my initial observations. - They looked really good with shorts. Really good. I’m an adidas fanboy, but, admittedly, not having the three stripes on the sides really gives the Lillard 1 a distinct appeal. - I’m usually good with a size 9, but I feel I could have gone half a size bigger and still feel good about the overall fit. - It feels really good moving around the court. It’s definitely a guard’s shoe, though all that twisting and turning will kinda wreck the leather, so if you would like to preserve its aesthetic appeal, better keep usage strictly casual. - The speckled laces that first appeared on the D Rose 5 Boost (blue and white) reappear here, but this time the laces’ CW fit the overall CW of the NYC All-Star edition. Golden swag on the tongues. Lillard's signature and then a short paragraph on New York. Nice touches. adidas has unveiled the D Lillard 1 All-Star edition that the Portland Trail Blazers point guard will wear on-court for his second consecutive NBA All-Star game appearance. 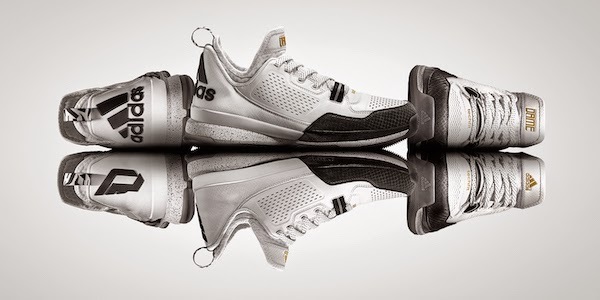 Designed in tandem with the 2015 NBA All-Star uniforms, the D Lillard 1 features a clean white leather upper with white snakeskin texture across the back panel of the shoe, around the midfoot laces and atop the TECHFIT booty. Black accents include the toe cap with tonal snakeskin print and logos on the back of the shoes. The full-length adiprene+ midsole features black splatter print, while the outsole is translucent black. The shoe is finished with metallic gold “Dame” and adidas logo branding across the tongue. 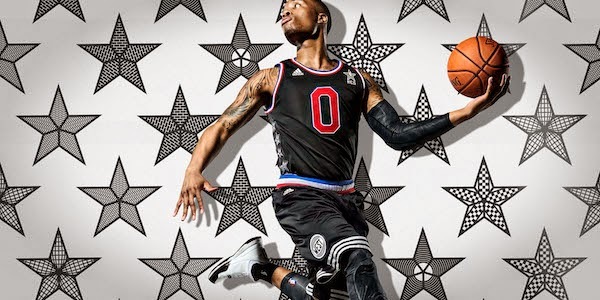 This D Lillard 1 All-Star edition is available for PhP 5695 SRP. Follow adidas Facebook, Twitter and Instagram for more exclusive content.